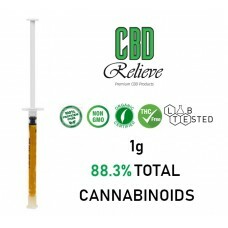 CBD Relieve full spectrum rich hemp oil utilises the whole plant extract to deliver a potent, full–spectrum CBD oil that is crammed with 5 cannabinoids and over 40 naturally occurring terpenes. 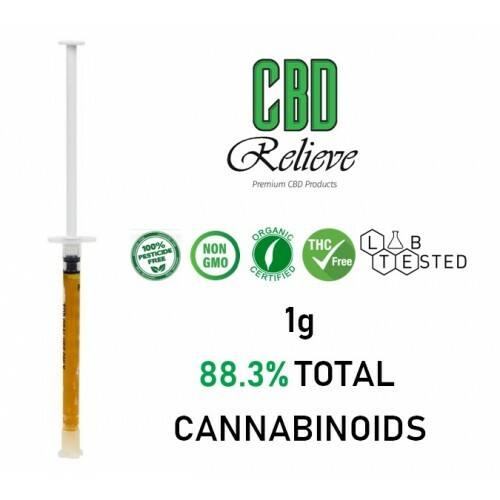 With 88% CBD present, this therapeutic oil is CBD Relieve's strongest product and is the purest and best value oil available on the market today. Derived from hemp that is organically grown in the mountains of Colorado, this oil is extracted using the Co2 extraction method (the cleanest method possible) resulting in a unique, full–spectrum product that contains a host of naturally occurring terpenes and cannabinoids.